Who is new Michigan basketball star Ignas Brazdeikis? 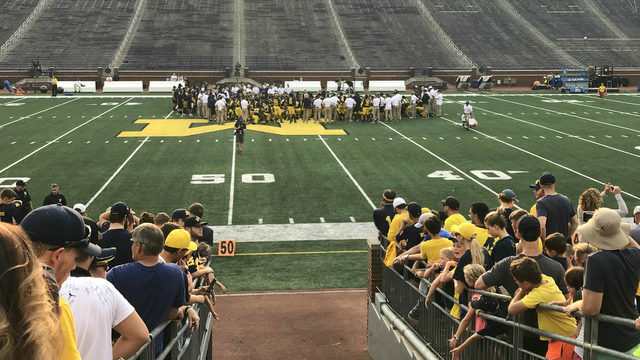 ANN ARBOR, Mich. - While the Michigan football program typically hogs the headlines until the new year, John Beilein is quietly building a machine in Ann Arbor. Well, maybe not so quietly this year. The Michigan basketball team, known for steadily improving throughout the year and hitting its stride in March, decided to ditch the early season growing period in 2018. The Wolverines have been college basketball's best story in November, going 7-0 with blowout wins over Villanova and North Carolina. On Wednesday night, Michigan dispatched North Carolina by 17 points at the Crisler Center. It was the closest game for Beilein's team so far this season. 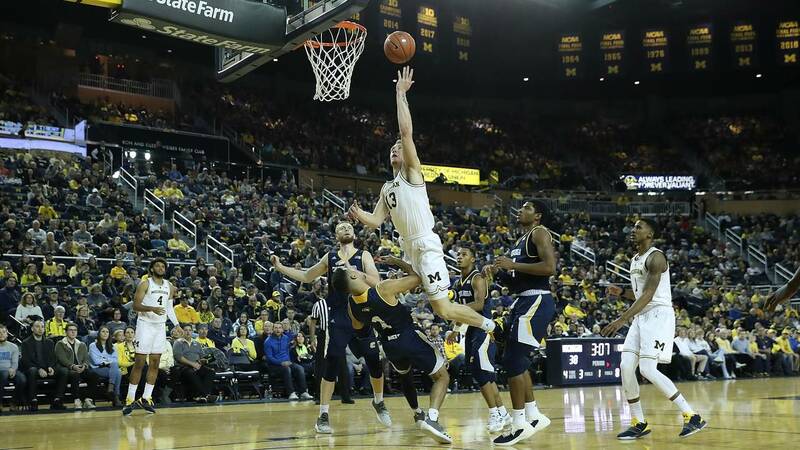 Michigan flew under the radar during the preseason, largely due to the loss of three of its top four scorers: Moe Wagner, Muhammad-Ali Abdur-Rahkman and Duncan Robinson. For once, it was Beilein's defense that promised to be reliable while the offense remained a question mark. Who would make up for the loss of 36.7 points per game that moved on from last year's Final Four team? The answer was Ignas Brazdeikis. Beilein landed one of his best recruiting classes in 2018, bring four four-stars and a three-star to Ann Arbor. Brazdeikis was the prized piece in that group. The four-star recruit was the No. 2 player out of Ontario and the No. 9 small forward in the class. He had 20 scholarship offers, including from other powerful programs such as Tennessee, Oregon, Oklahoma and Florida. At 19 years old -- he'll be 20 in January -- Brazdeikis isn't a typical freshman. Brazdeikis is a Lithuanian Canadian who worked out with former Michigan star Nik Stauskas before making his college decision. He officially committed to the Wolverines on Sept. 22, 2017, and enrolled this June. It didn't take Brazdeikis long to adapt to the college game. At 6-foot-7 with good quickness and the ability to shoot from anywhere on the court, the freshman was looking to score from the first whistle. Brazdeikis was the team's leading scorer during a three-game trip to Spain, according to The Athletic's Brendan Quinn. He shot 64.3 percent from the field and averaged 15.7 points and seven rebounds, according to Quinn. About two months later, he dropped 12 points in his debut against Norfolk State. He's scored at least 18 points in five of seven games and at least 20 points in three straight. Brazdeikis leads the team with 16.9 points per game and is second behind Jon Teske with 5.7 rebounds per game. He's shooting a team-best 54.9 percent from the floor among players who average at least 10 minutes per game. He's not a one-dimensional player, either. Brazdeikis has grabbed seven rebounds four times and plays excellent defense. During the road win against Villanova, he held star forward Eric Paschall to 10 points on 3-14 shooting and three turnovers. Brazdeikis' effort on defense is rare for a freshman. He bought in from the start, and he looks like Michigan's best defensive player behind leaders Zavier Simpson and Charles Matthews. 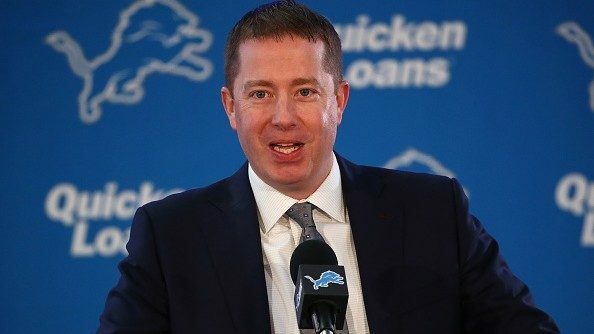 He's long, athletic and willing, and he has quick feet. That's a recipe for an excellent defensive player. 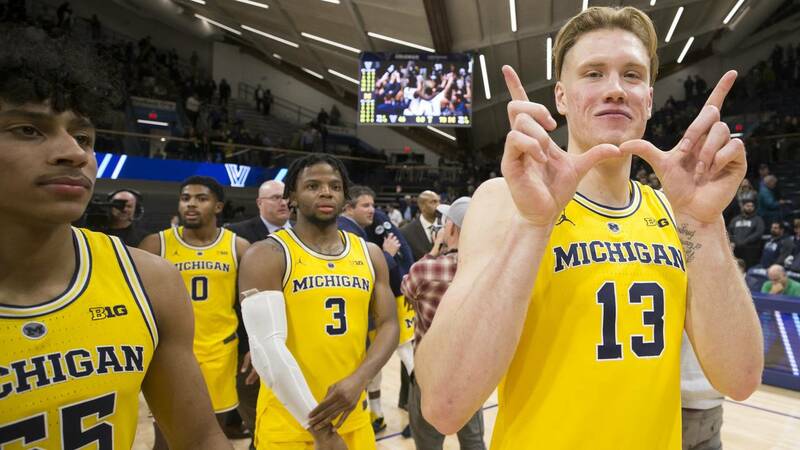 Before the season started, Brazdeikis made headlines by saying, "There hasn't been a Michigan player like me." It might sound like an outrageous statement from someone who hadn't stepped foot on a college court, but he was right. 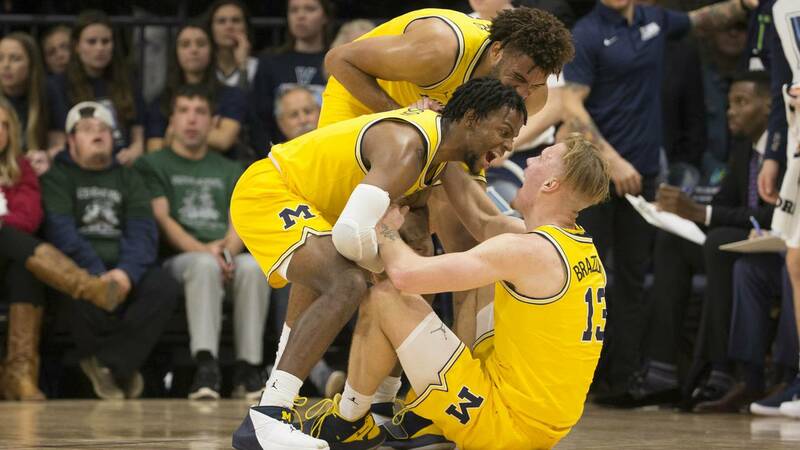 Brazdeikis fits perfectly into the culture Beilein is building with hardworking, smack-talking players such as Simpson and Matthews. In Michigan's first true road game, Brazdeikis was flexing at the Villanova student section after made baskets. He celebrated a pair of made threes against North Carolina with arms raised in front of the opposing bench. Some of Michigan's freshmen class has been a bit passive on the court, which is natural early in the season. For Brazdeikis, that's never been an issue. He took 10 shots in his first game and has either tied or had the most shot attempts for Michigan in the last three games. In three big games against Villanova, Providence and North Carolina, Brazdeikis has played 95 of 120 minutes and taken 37 shots -- the most on the team. Brazdeikis is really good, and he knows it. For Michigan fans, "Iggy" is extremely fun to watch. Others, though, probably can't stand Brazdeikis. Wagner was Michigan's villain during the last two NCAA Tournament runs. There was something about his style -- whether it was his celebrations and facial expressions after a made basket or his unique, sometimes unconventional, style of play -- that the rest of the Big Ten didn't like. College basketball fans outside of Ann Arbor were relieved when Wagner announced he would leave a year early for the NBA draft. So, naturally, Beilein had to go out and sign Brazdeikis. Like Wagner, Brazdeikis is a threat to drive to the rim and a threat from beyond the arc. 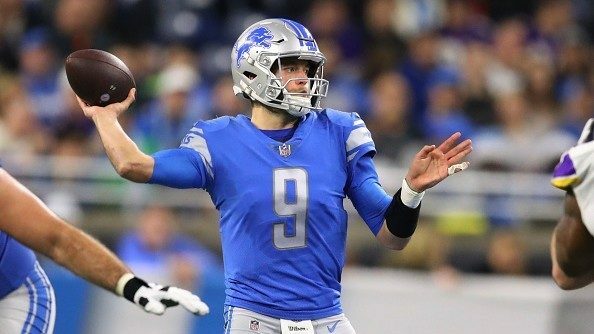 He even took the liberty of wearing the No. 13 to carry on Wagner's legacy. 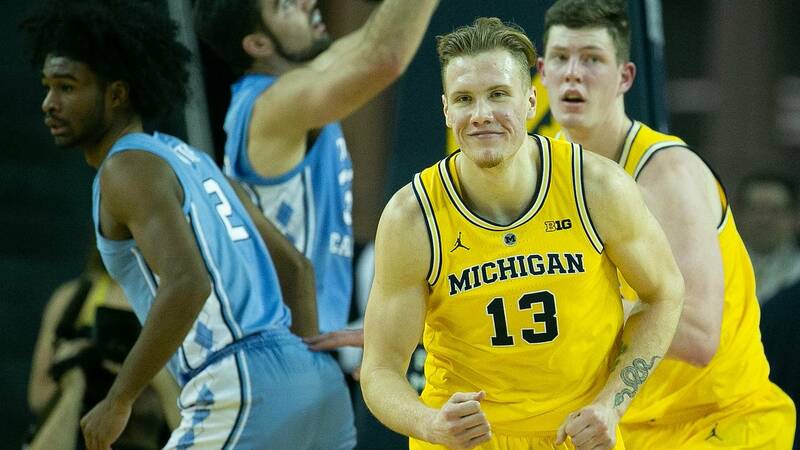 Between the hair, the tattoos and the on-court exuberance, Brazdeikis has given opponents a new player to hate -- and he loves it. Every year Beilein loses key players to graduation or the NBA draft, and every year he finds a way to keep winning. 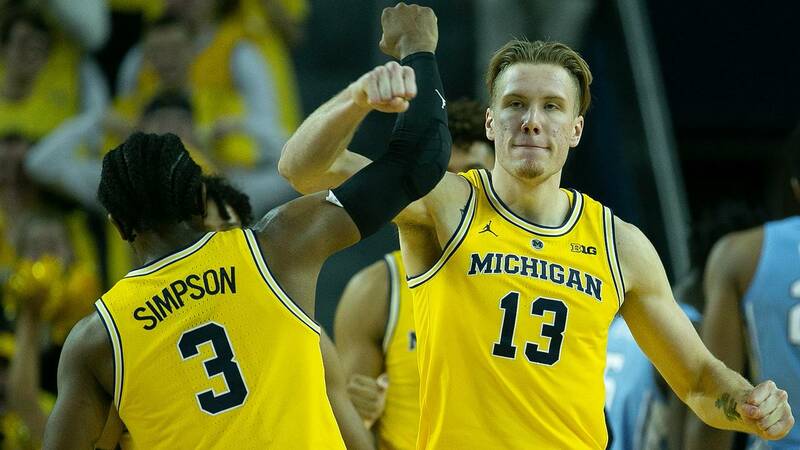 This season has been perhaps the most seamless transition in his 12 years at Michigan, and Brazdeikis has been a big part of it.